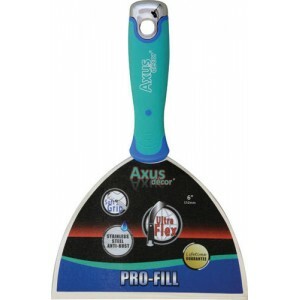 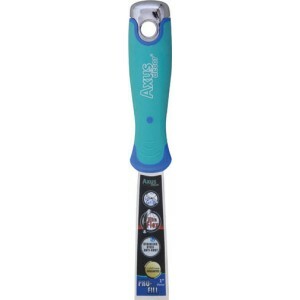 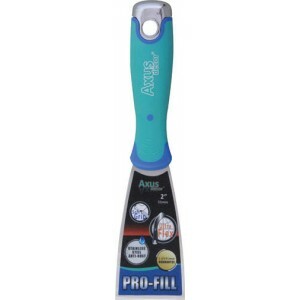 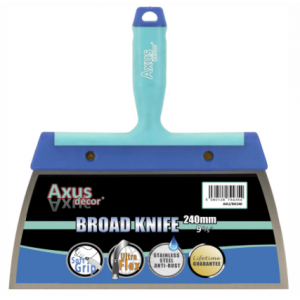 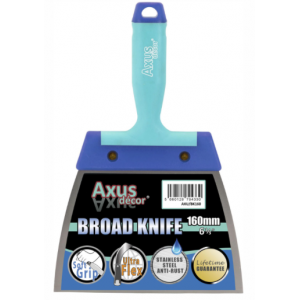 Axus Pro-Fill Box Set 1.5”, 2”, 3” Ultra Flexible Rust Resistant Stainless Steel Blade ..
Adorn Stainless Steel Filling Knife 4"
Adorn Stainless Steel Filling Knife Size: 4" / 100mm Suitable For Filling Cracks & Ga..
1" (25mm) This professional filling knife with soft, comfortable handle. 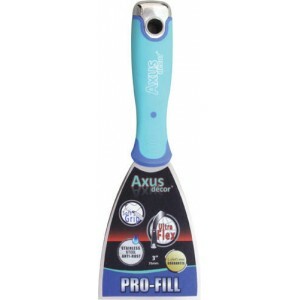 Soft Grip ..
1.5" (38mm) This professional filling knife with soft, comfortable handle. 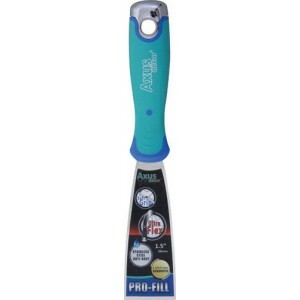 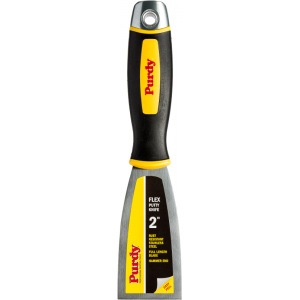 Soft Grip ..
2" (51mm) This professional filling knife with soft, comfortable handle. 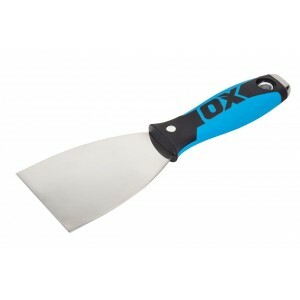 Soft Grip ..
3" (76mm) This professional filling knife with soft, comfortable handle. 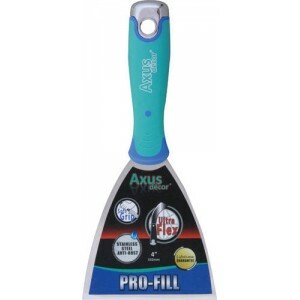 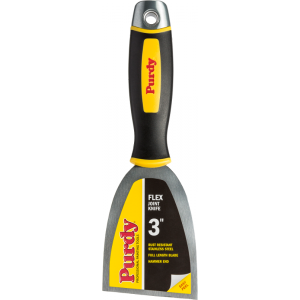 Soft Grip ..
4" (101mm) This professional filling knife with soft, comfortable handle. 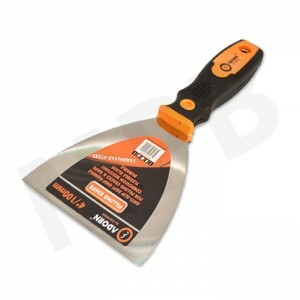 Soft Grip ..
6" (152mm) This professional filling knife with soft, comfortable handle. 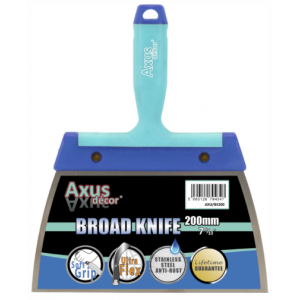 Soft Grip ..
Axus Decor Stainless Steel Broad Knife 160mm/ 6.3"
Axus Decor Stainless Steel Broad Knife 160mm/ 6.3" This professional wide filling knife featu..
Axus Decor Stainless Steel Broad Knife 200mm/ 8"
Axus Decor Stainless Steel Broad Knife 200mm/ 8" This professional wide filling knife feature..
Axus Decor Stainless Steel Broad Knife 240mm/ 9.5"
Axus Decor Stainless Steel Broad Knife 240mm/ 9.5" This professional wide filling knife features ..
Purdy Flex 2" Carbon Steel Putty Filling Knife Rubberised ergonomic grip to prevent slipping and ..
OX Pro Joint Knife 1.25"
OX Pro Joint Knife 32mm/ 1.25” Flexible stainless steel blade Built-in hammer end D..
Purdy Flex 3" Angle Carbon Steel Putty Filling Knife Rubberised ergonomic grip to prevent sli..
OX Pro Joint Knife 2"
OX Pro Joint Knife 50mm/ 2” Flexible stainless steel blade Built-in hammer end DURA..